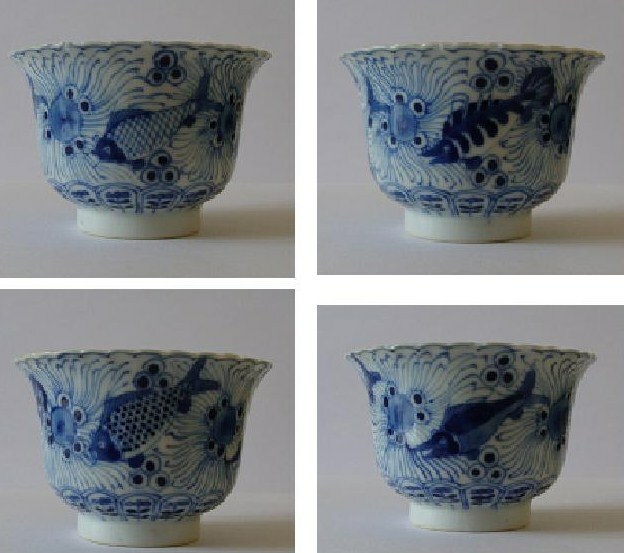 Subject:Chinese cup - any age? I acquired this cup - Marked Kangxi Nian Zhi - a number of years ago, but still not sure about the age. I personally don't think it's Kangxi. Subject:Re: Chinese cup - any age? Martin, your suspicions are well-founded. 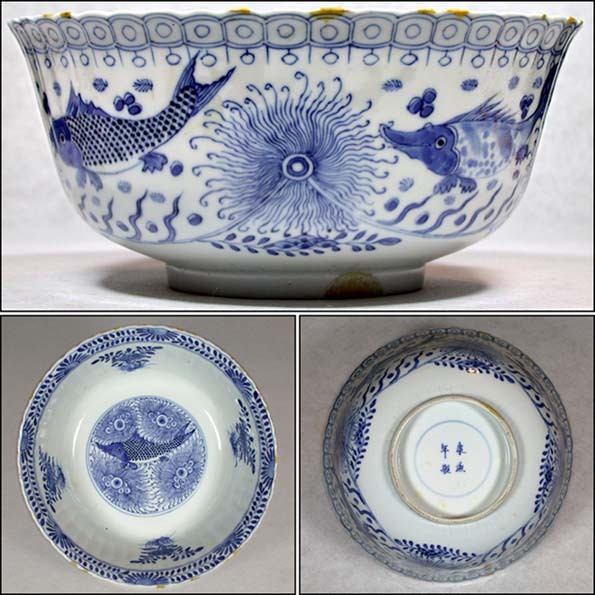 This marine life pattern with four-character Kangxi mark was issued during the late Qing Guangxu--period "Kangxi Revival". Here's an 8-inch bowl of mine in the same pattern. Thanks for your answer, nice bowl by the way.